While living in South Korea, the Harringtons awoke one morning to discovered they had been tagged in Tom Harrington's photo, a photo of concert tickets for the great, talented and aging-yet-impressively-young-at-heart-and-soul Leonard Cohen. Tickets proclaimed they were for a show on November 3rd which assured the Korea-living couple that they could in fact attend this once in a lifetime opportunity. Fast forward a few months as the Harrington duo has begun settling in and adjusting to "new" life. The concert, and the anniversary of Tom and Patty, was approaching and the Harringtons were soon setting out for Colorado for what would become a long weekend of travel and adventures starting with a lunch date in Wheatridge with Melissa's Grandmother, Luella. Grandma, Mike, and Melissa all piled into the Subaru and enjoyed lunch at Texas Roadhouse followed by a trip to Lowe's to pick up some items for Grandma Lu. After installing a lamp and super gluing some items at Grandma's house, Mike and Melissa headed up toward Loveland, Colorado to watch the CSU v. UW (Border War) Game in one of Mike's cousin's Man Cave (complete with projector, bar, couches and shuffle board). As the game concluded with a win, the whole Harrington clan (Tom, Patty, Mike, Melissa, Katie, Molly and Landon) loaded up the cars and made their way to Broomfield's 1st Bank Center where they were only a dozen rows back, looking up to a stage that would soon be filled with the presence of a man whose voice is as a deep as the ocean and is only surpassed by his appreciation and respect for the talented musicians next to whom he has the privilege to perform. 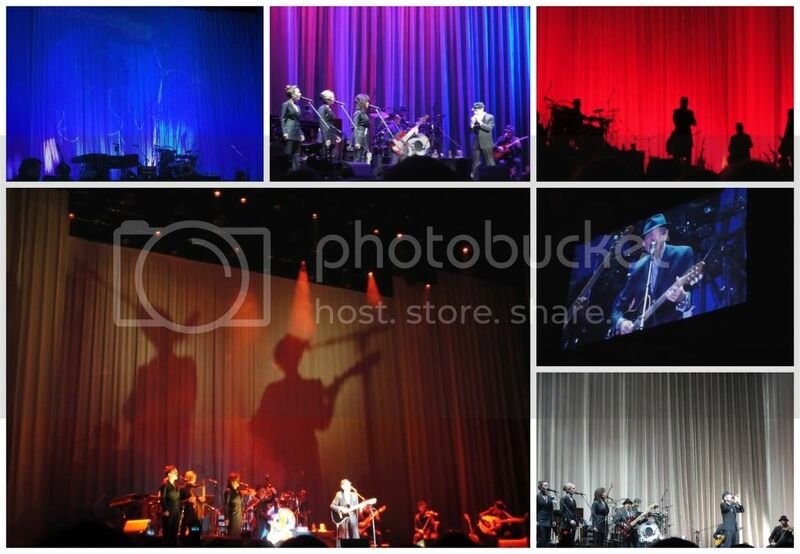 At 78 years old, Leonard Cohen is a performer who can easily go all night long, much to the delight of his fans. Although the M'n'M duo were not all too familiar with the works of Leonard Cohen going into the concert, they left the performance impressed by not only the talent of this artist, but more so by his passion for his job and incredible respect for all those who surround him, whether the outstanding musicians who accompany him on stage or the masses of adoring fans, Leonard Cohen is a man who completely and utterly understands that his talent is all the more perfect and beautiful because of those he performs with and for. Following the concert, which ended with approximately 8 encores, the Harrington duo made a decision to fore-go sleeping in a warm, cozy house owned by cousins and, because of the late hour and an early flight in the morning, opted to go to DIA which was nearer than a warm bed and spend the night sleeping in the Subaru. Unfortunately, one thin blanket and an old tarp on a cold mile-high night was hardly sufficient to provide adequate warmth for a deep and restful sleep. Every hour or so, one of the Harringtons would shiver themselves awake, turn on the car, blast some heat and pray for daylight or warmth. Eventually morning and a full bladder came and the couple was making their way into DIA where they would await their flight to Phoenix Arizona for a quick getaway filled with warmth and friendly reunions. Not that so comfy sleeping in a car, isn't it? However, I think you feel it is all worth it. One helluva of a show.